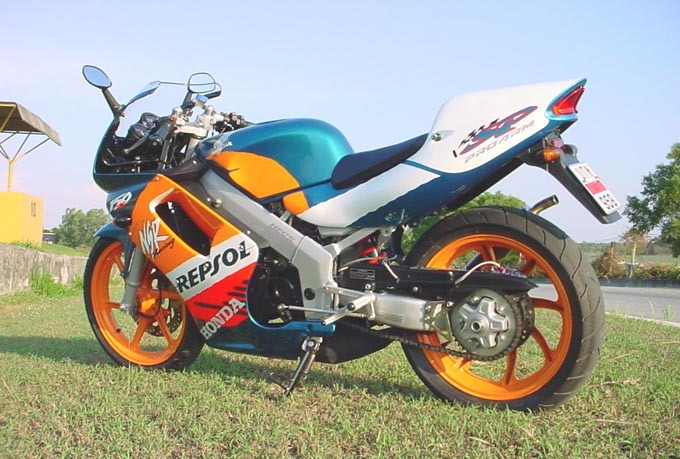 This project bike may look at first glance in the photo like any other NSR150SP. Appearances can be deceiving though and this bike has had many work hours and dollars lovingly spent to improve what is already one of the most attractive small bikes around. 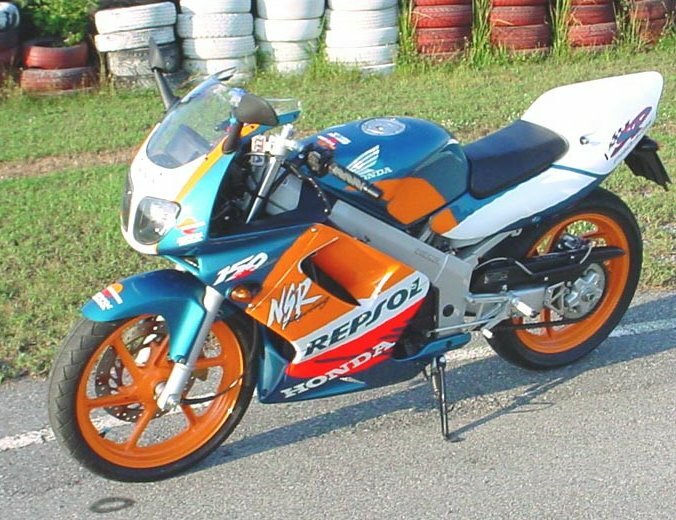 There aren't any 'before' shots of this bike which was almost new and totally stock when we bought it. We did do a couple of dyno runs of the stock bike though which were quite disappointing. 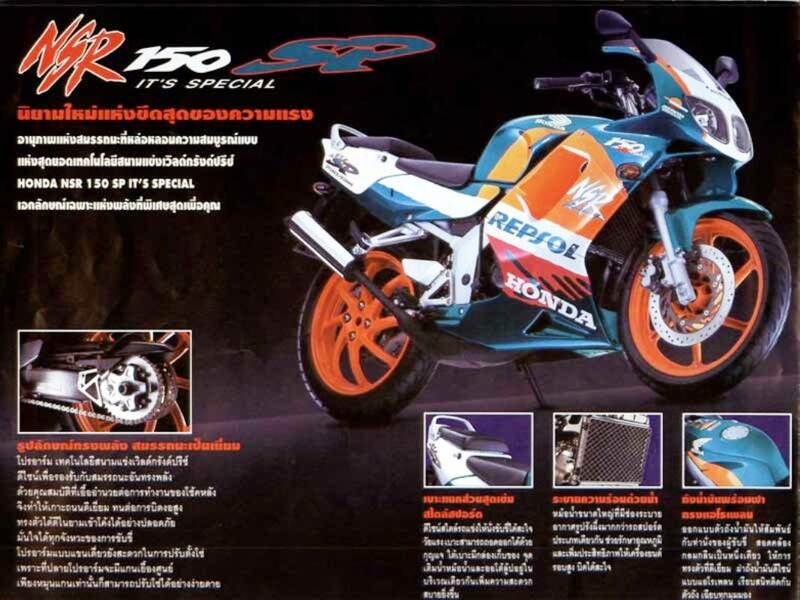 The trouble with the 150SP is that it does not deliver the power it promises. The sales brochures were hopelessly optimistic. However, all was not lost! 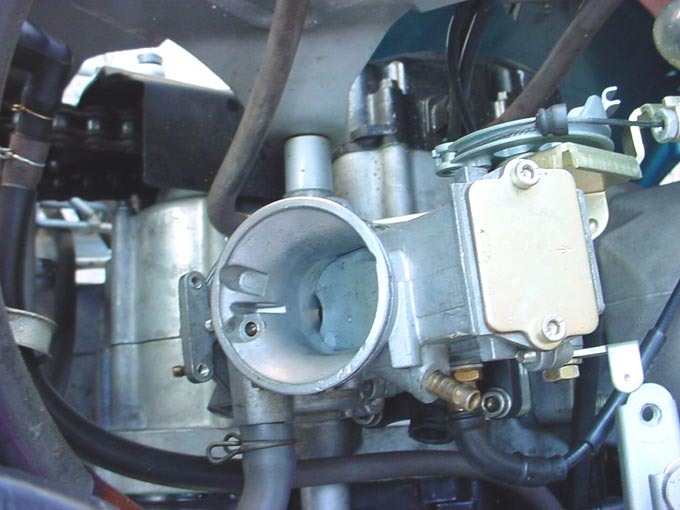 It is possible to get quite a bit of power from the motor which is a of very sophisticated two stroke design. 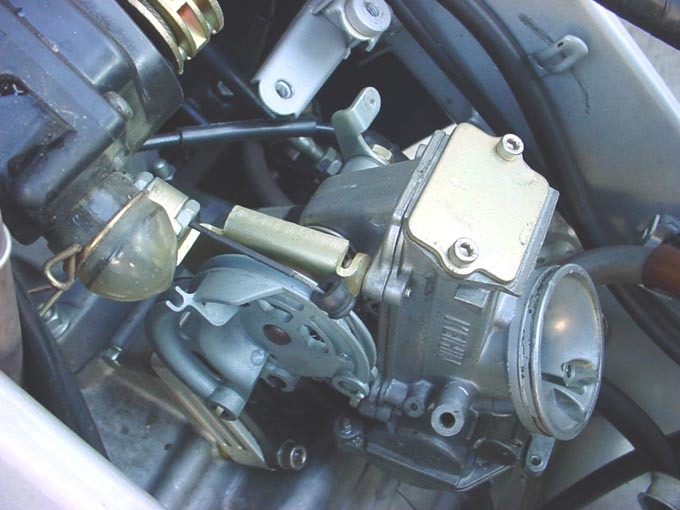 The motor was carefully ported and excess weight removed from the balance shaft as well as other engine internal components to allow the motor to rev freely. 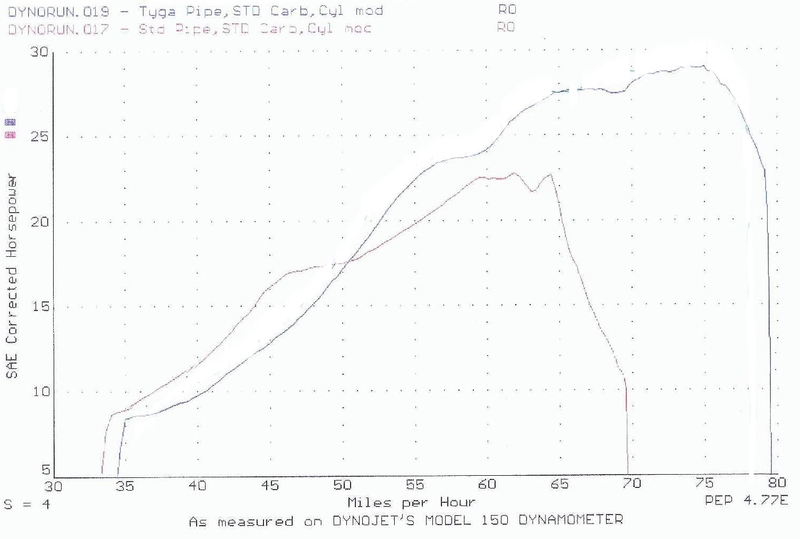 A TYGA Pipe was obviously fitted and the power measured and there was a drastic improvement in power over stock pipes as can be seen by the dynograph above. 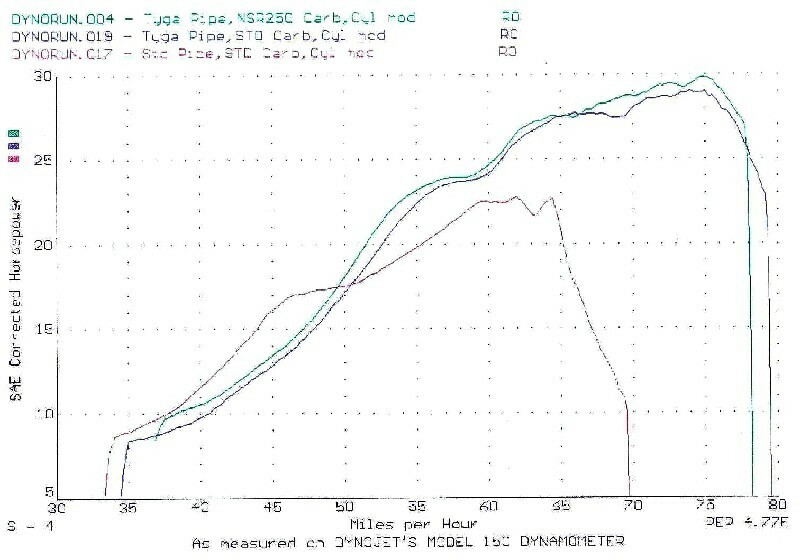 We weren't content until we had found the ultimate top end performance by fitting the TYGA Performance NSR150SP carb. kit as well as carbon reeds. So now we had the power, we needed the chassis improvements to take advantage of the extra performance. The stock rubber was junked in preference to some sticky race compound Michelins. Now the tires were good, it would be safe to improve the brakes! 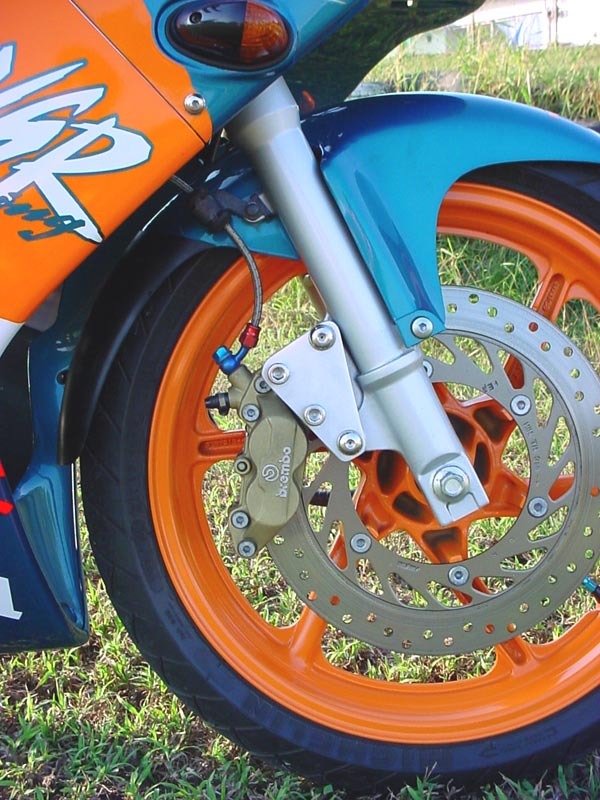 We fitted a Brembo caliper, steel lines front and rear and an NSR250 Nissin 14mm master cylinder to give extra power to the front end. These improvements gave much more confidence to push the bike harder and lean further. 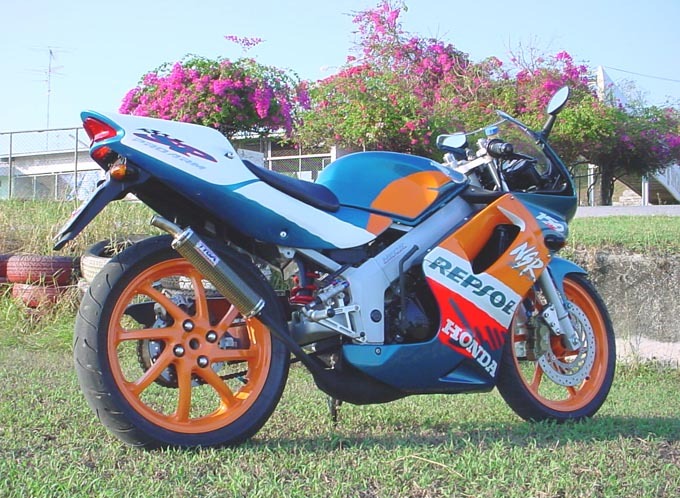 The next thing that then limited the bike was the ground clearance. 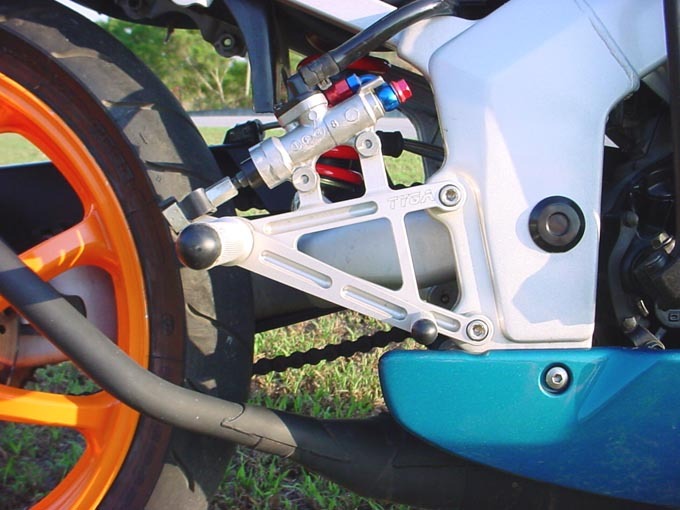 The stock hangers mount the pegs low and the position is both uncomfortable and too low to lean the bike. 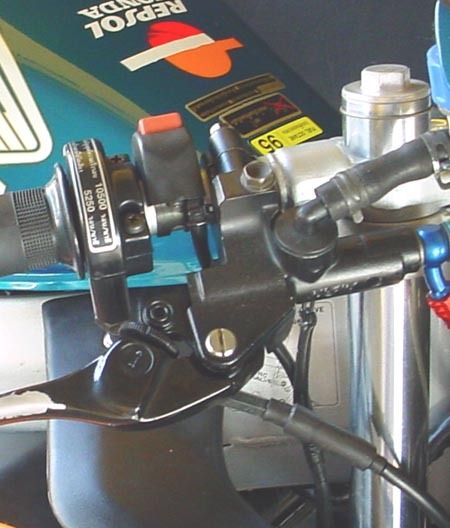 In addition the hangers are heavy and the gear shifter awkward to use. The TYGA Performance step kit we fitted fixed all these problems and cleaned up the look of the bike too. 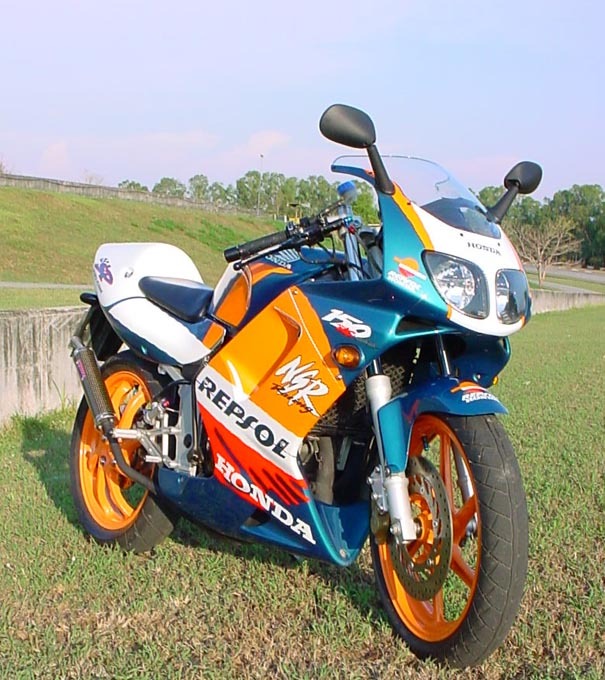 The NSR150SP is a great looking bike from the factory and didn't need a complete makeover. 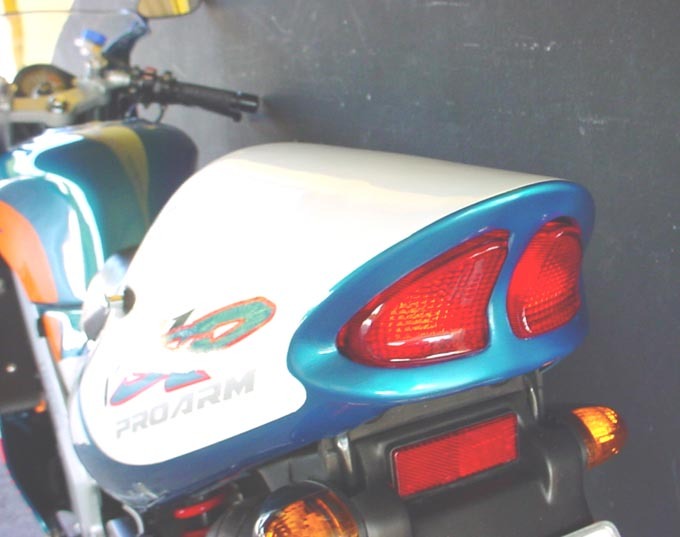 The only bodywork item we changed was the seat cowl which we replaced for a TYGA NSR150SP unit painted to match the rest of the bike. 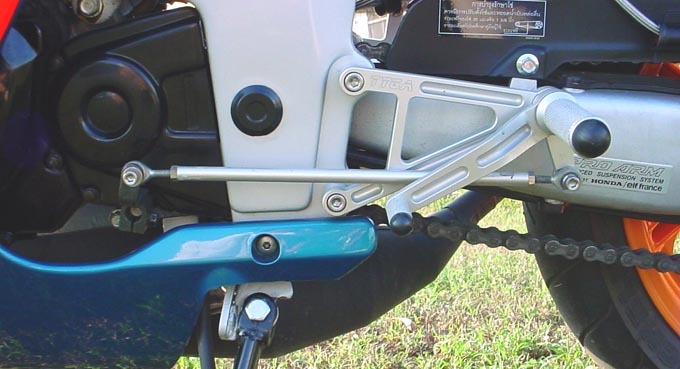 This gives the bike smoother lines and a racier image. 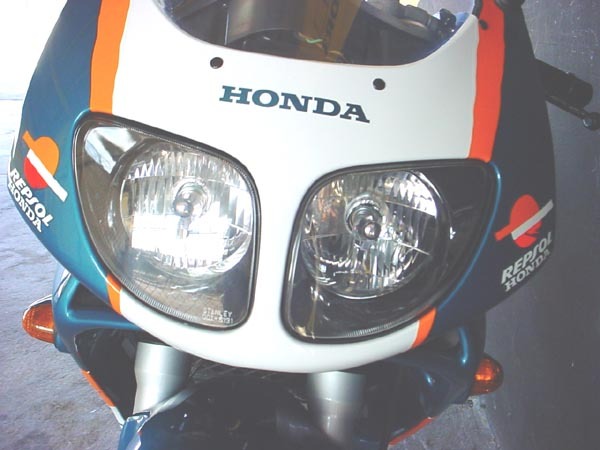 The front headlight was kept stock as it is an attractive and modern unit with a good beam. The tail light was changed to a special TYGA Tail light to match the TYGA Tail. 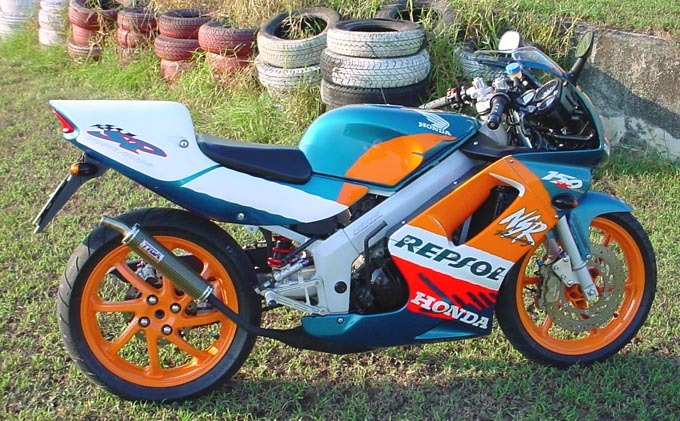 Overall, then, much improved in performance and more attractive too.